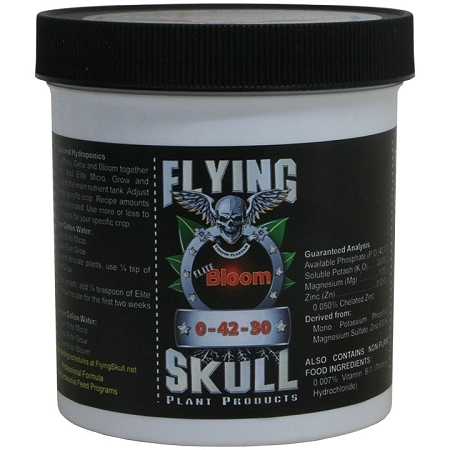 The Flying Skull plant food line includes Elite Micro, Elite Grow, Elite Bloom, and Z7. The three basic components are used in combination. 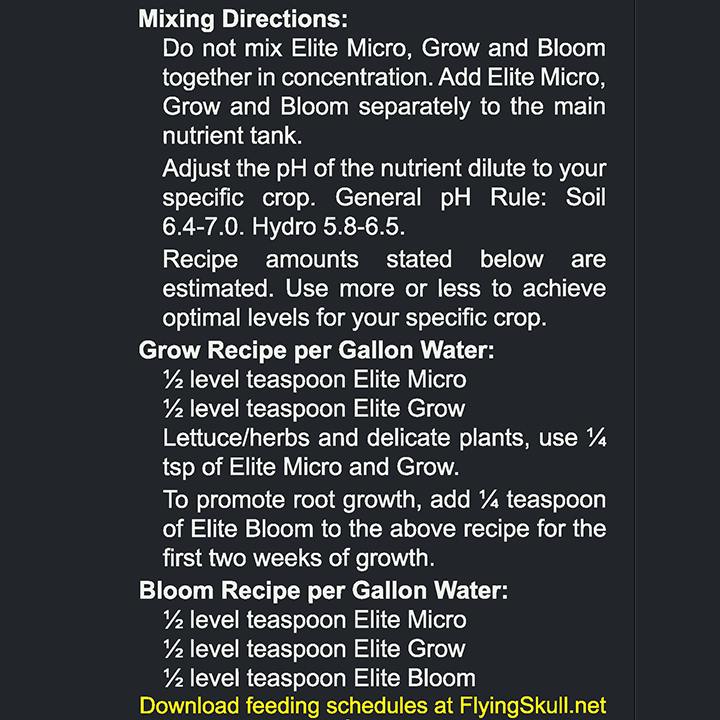 Elite Micro, Elite Grow and Elite Bloom are used in the first two weeks of plant growth. Then, Elite Bloom is taken away and only Elite Micro and Elite Grow are used throughout vegetation cycle. When switching to the bloom cycle, all three are used; Elite Micro, Elite Grow and Elite Bloom. 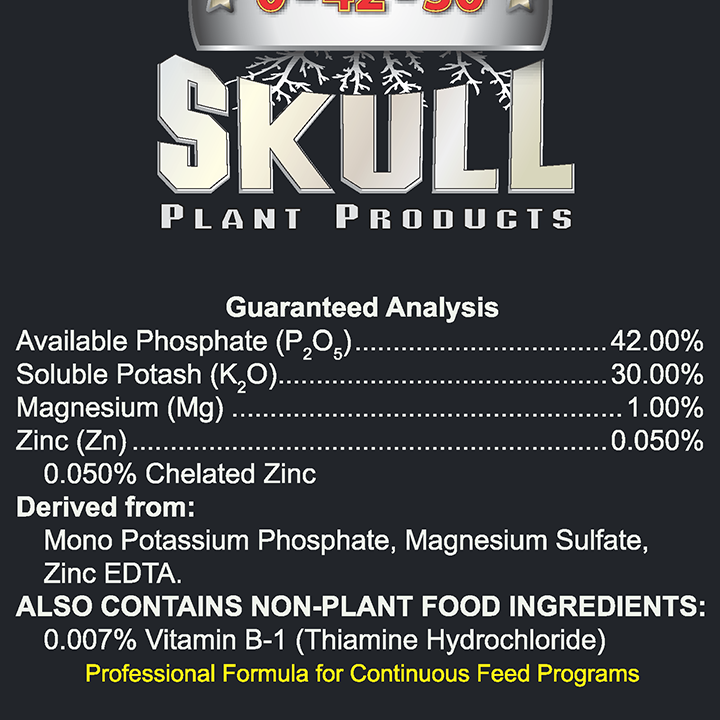 The Flying Skull Elite plant food line is a highly soluble nutrient. It was formulated to deliver high quality soluble nutrients to plants at lower EC/PPM levels. There are three parts that comprise the basic formula, Elite Micro, Elite Grow and Elite Bloom. 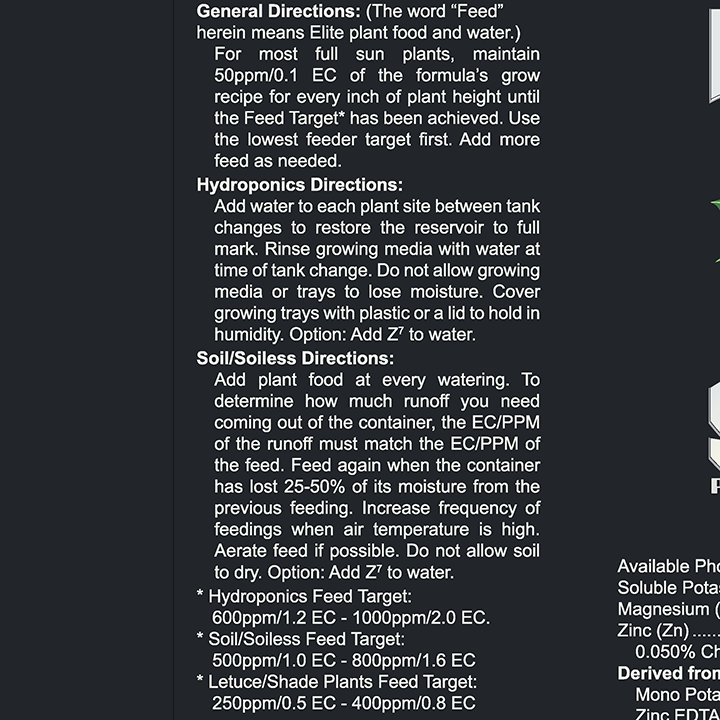 In most cases the grower will find that by simply following the feeding schedule, plant growth will be excellent. However, the way in which these three formulas were created gives the grower the ability to easily modify the basic formula for his particular plants. 1 pound makes up to 440 gallons of nutrient solution. The basic three part formula is non organic and particulate free. This is important to growers who use hydroponic systems like Deep Water Culture, since inanimate slime (stemming from organic particulate) is the leading cause of plant death and system failure in these systems.